Many of our wines emanate from single parcels of land. The grape bunches are picked by hand at the moment of optimum maturity. 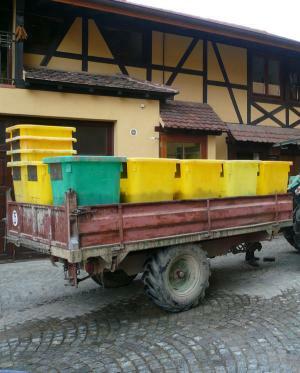 Having undergone two selection processes – one on the vine, the second at the stage of being put into special containers (called “bottiches”), only the best grapes make it to the cellar. Moving the grapes is carried out via the “bottiches” which are lightly loaded to ensure that grapes are not damaged in transit. Grapes which are preserved in their entirety minimise the risk of the bitter elements getting in to the process. 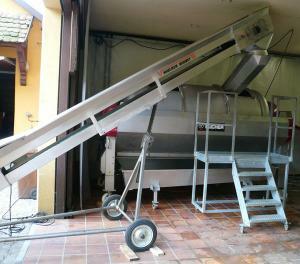 The grapes are then pressed slowly and at low pressure. In general, the pressing takes six to ten hours allowing the juice to remain in contact with the skins to optimise flavour extraction. The best juices are then selected. The juices are then placed in stainless steel casks which allows them to settle naturally by gravity for between twenty-four to thirty -six hours. The must which is then transferred to either stainless steel or oak barrels after which time fermentation begins and the grape juice begins its journey to become wine. The fermentation process is carried out with natural yeasts which occur naturally on our various terroirs and in our cellar. 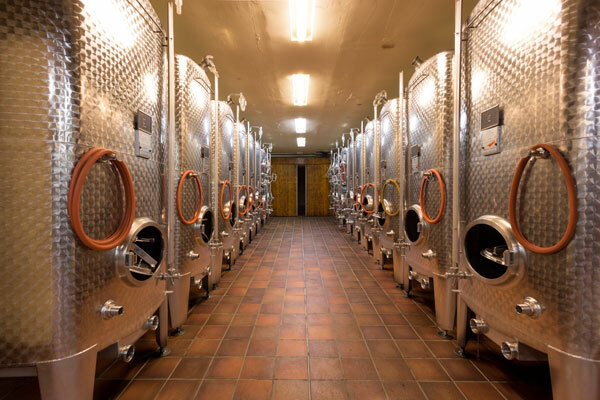 We have noticed that natural yeasts are conducive to longer periods of fermentation which are the basis for wines that are more complex, richer and elegant. Fermentation takes place at a low temperature and the containers are equipped with regulators which ensures that the temperature remains stable. Controlling the temperature in this way ensures the quality of the wine structure and that the flavours develop complexity. The progress of the wine in the barrels is monitored daily through tastings and the sugar level is also measured in this way. Once fermentation is completed the wine is racked. The fine lees are retained and the wine is allowed to mature on this base of yeast. 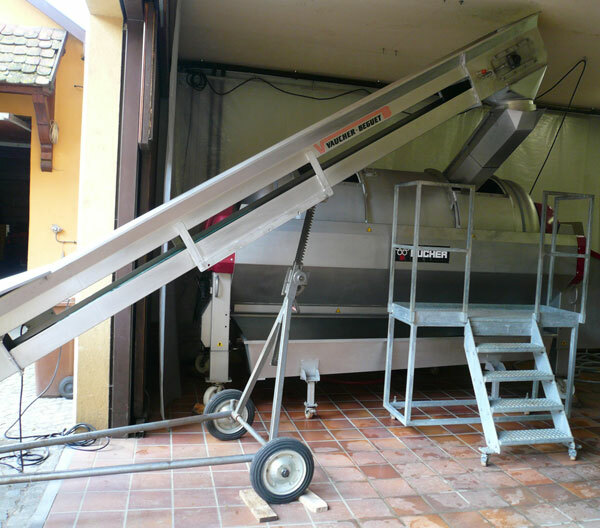 These lees will permit the release of amino acids which enhance the flavour and structural complexities of the wine. 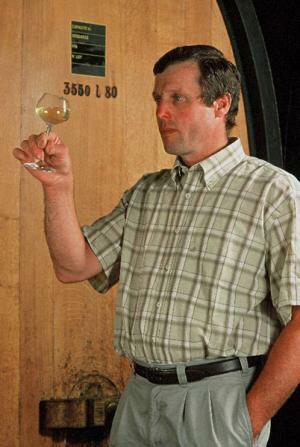 Except for Pinot Blanc and Muscat which are allowed to age until the following May, the wines are left for a period of at least ten months. The wines are aged either in wooden or stainless steel barrels according to their variety. Stainless steel permits the retention of freshness and fruitiness, wood intensifies the flavour and complexity. 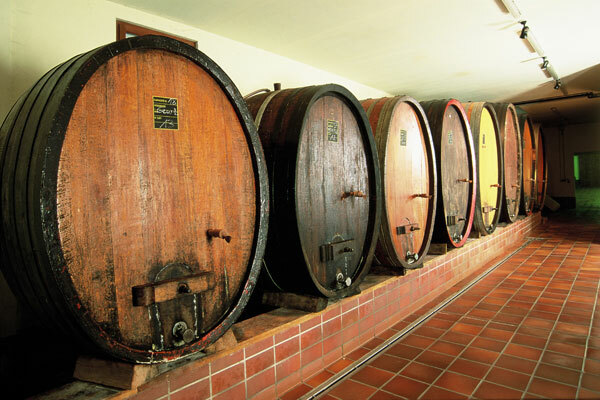 Wines stored in these barrels are regularly tasted to ensure their continued progression. 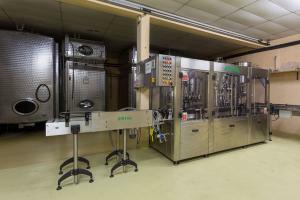 Prior to being bottled, the wines are stabilised and filtered. 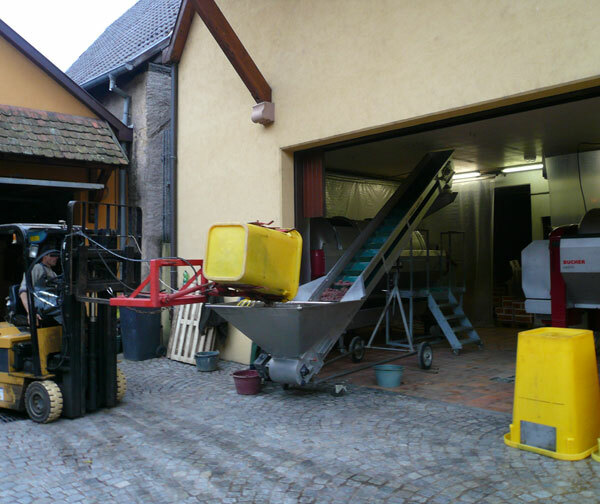 In this way, we are able to ensure that the wine continues to improve once in the bottle.